There is a flurry of commotion. Lighting and sound are tested. Scenery pieces move left and right under careful direction, and costumes are donned amid the excited chatter and high-pitched giggles prevalent among high school girls. Though this familiar scene repeats itself every two years, something is different about the level of anticipation. The introduction of a new concept, perhaps? A fresh script whose origins lie right here in Atlanta, where two great beginnings found themselves intertwined? 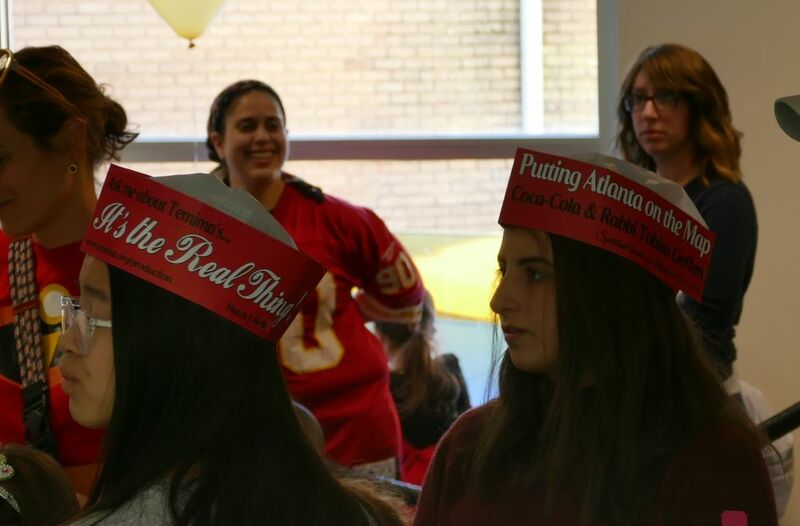 The story follows the efforts of Rabbi Geffen in creating a Jewish presence in Atlanta and his role in establishing an indisputable kosher certification for the ever-popular drink Coca-Cola in the first quarter of the 20th century. Written by Temima Principal Miriam Feldman, the original script was conceived after extensive research about Coca-Cola and the Geffen family, as well as Jewish Atlanta at that time. Contact with members of the Geffen family from the very beginning of the process has added a personal touch to the story. The show is directed by Rachelle Freedman, a homegrown professional director. The Temima girls themselves have produced the costumes, scenery and props. The entire Geffen family (all eight children) is represented in the show and played by Temima students. Born in Kovno in 1870, Rabbi Geffen was raised in a traditional Lithuanian Jewish home. He married Sara Hene Rabinowitz and eventually immigrated to the United States, establishing roots in Atlanta in 1910 as the spiritual leader of Congregation Shearith Israel. Almost immediately upon arrival, Rabbi Geffen sought to establish a Jewish community, streamlining kashrut supervision and founding Atlanta’s first Hebrew school. Rabbi Geffen arrived on the Atlanta scene a couple of decades after the birth of Coca-Cola as its distribution and popularity spread across the country, including among Jews. But rabbis of various Jewish communities in America were unsure about the kosher status of the beverage, and conflicting opinions emerged. Having settled in Atlanta, Rabbi Geffen felt a responsibility to solve this issue because he was located at the source of the problem. However, because of Coca-Cola’s infamous secrecy, he faced challenges in proclaiming Coca-Cola kosher. Allow the Temima girls to share with you his story and lasting impact. Since its inception in 1996, Temima has presented 14 musical productions to the women of the Atlanta Jewish community. The professional-level productions have been well received by close to 600 women each season. Temima has also taken its Chanukah show, “Twirl & Zip,” on tour to Jewish preschools throughout Atlanta. “We have our girls work on these musicals to internalize the messages which are integral to them growing to be Jewish women who take responsibility for their community, themselves and their Jewish identity,” said Gitty Golding, the activities coordinator at Temima and producer of the shows. Representing this remarkable figure and his love for fellow Jews is a daunting task, she said, but she identifies with the rabbi’s value of family connection.